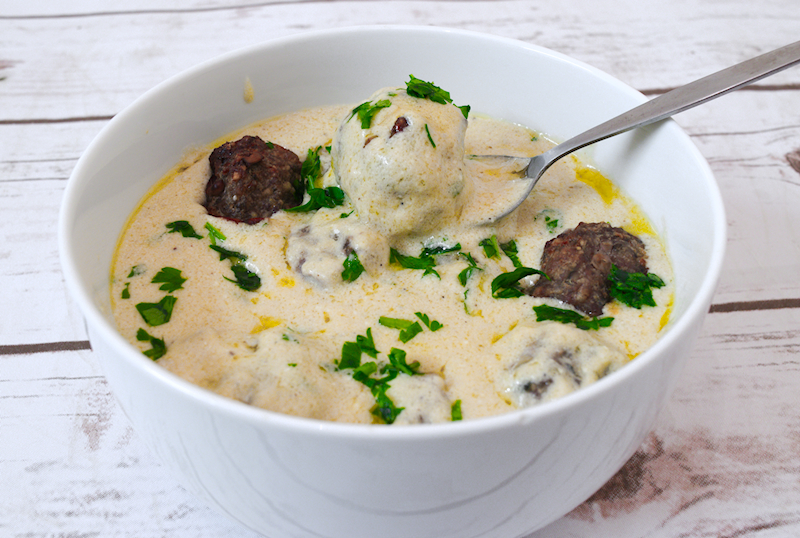 Get ready to indulge into the awesomeness of Swedish meatballs cooked in a special creamy sauce! Easy to make, even easier to consume. As a man who is very picky when it comes to food, I try my best to eat healthy meals cooked with good quality products. Most of the times, I manage to stay away from temptations. As a man with weaknesses, I often find myself desiring some of the guilty gastronomical pleasures that everyone wants. 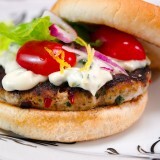 Let them be creamy sauces, bacon, sausages, burgers…you got the idea. I was raised in a family where the food in our table had to be healthy and balanced. Red meat once or twice per week. Everything had to be home-cooked. Lentils or bean soup once a week at least. Bacon was a no-no! I was allowed to have potato chips only when I was invited in other children’s parties! I tried to keep the same kind of behaviour when I left home but that was not easy, especially when you are a young bachelor and a busy professional. 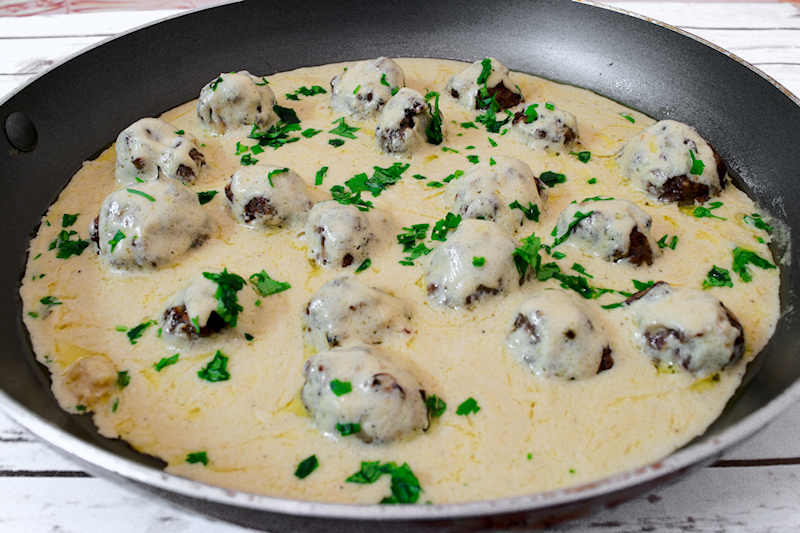 To cut the long story short, I saw an advertisement the other day on TV about Swedish meatballs. That was it! The naughty-guilty pleasure alarm went off. I had to make it, even though I knew that my mother would have strong objections. You see, she is still worried that I will become fat (which I am not!). 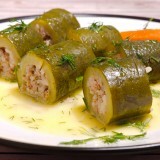 Now, this is a heavy dish…but sooooo good! 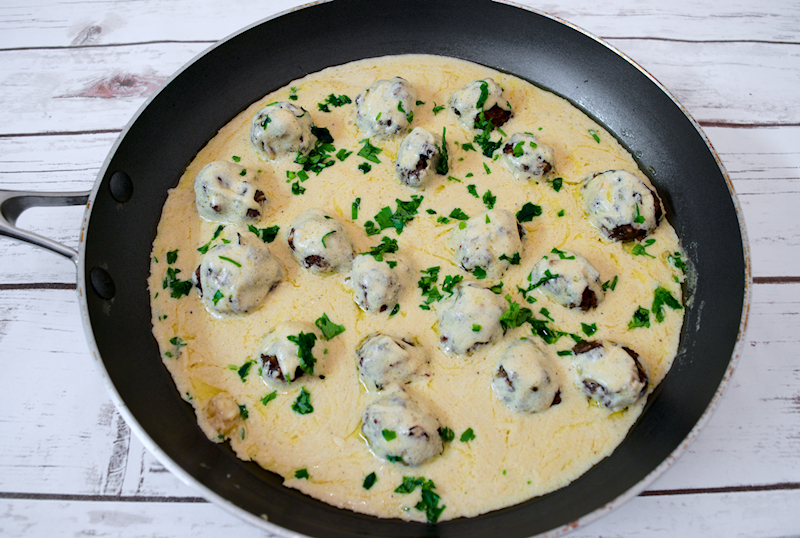 If you are feeling guilty yourselves too, have a week of boiled broccoli and zucchini and allow yourselves to dive in into the greatness of Swedish meatballs served the way they should be. 250 gr (9 oz) ground beef. Small bunch of flat-leaf parsley finely chopped. 1 cup of Crème Fraiche or heavy cream. Combine the meats in a large bowl. Mix the breadcrumbs with the milk and add them to the bowl. Add the onion, parsley, oregano egg, salt and pepper and mix well. Knead for ~ 5 minutes to make a homogeneous mix. Add 1 tablespoon of butter and the olive oil in a skillet on medium-high heat. Use the meat mixture and make small balls. Fry the meatballs until golden brown. In a large frying pan add 2 tablespoons of butter on medium heat. Add the flour and mix well. When the flour starts getting yellow (~ 1 minute), add the cream, the beef broth, the Worcestershire sauce and mustard. Stir well and let the sauce thicken, for ~ 10 minutes. Add salt and pepper to taste. 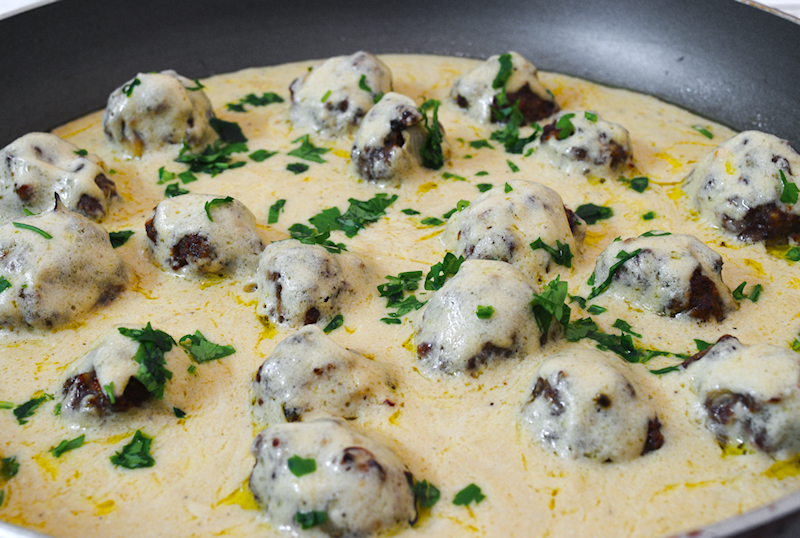 When the sauce is ready, add the meatballs into the pan and cook for a few minutes. 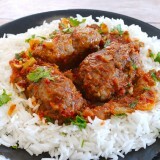 Sprinkle some parsley and enjoy the meatballs with some pasta or rice.